This is my father, Henry Burl Stevens, and his mother, Georgia Mary Coakley Stevens. Dad was just home on 30 day leave upon his return from Europe after the war in 1945. All three of Georgia’s boys served in the military during WWII. I’m sure they were feeling blessed that all three came home alive and well. 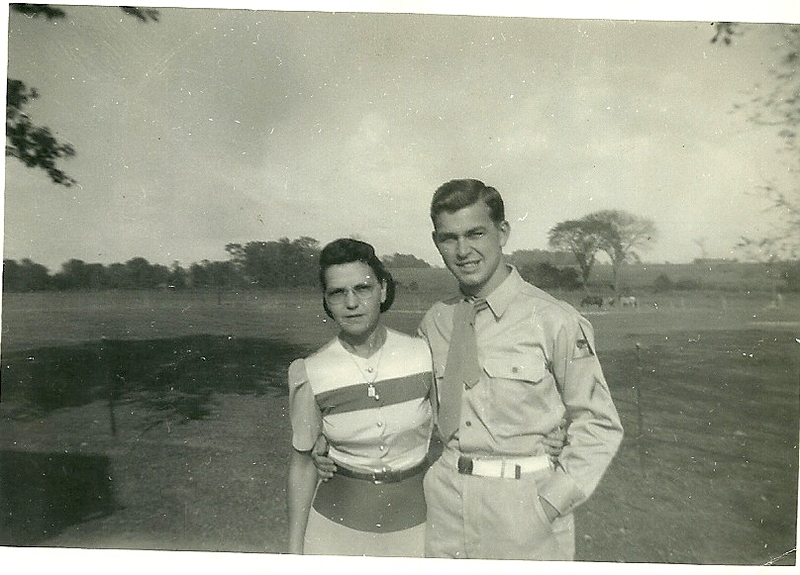 This entry was posted in Stevens and tagged Georgia, Henry Burl Stevens, History, United States, United States Army, World War II. Bookmark the permalink.